My daughter recently started taking music classes at the Silverlake Music Conservatory. It’s a cute class called ‘bang zoom’ and she loves it. BUT - what makes her class even better - is that it’s only a few doors down from Go Get Em Tiger. Oh darn! So yeah - Ive been diggin my Saturday morning routine of walking over to have some nice, quiet time during her 50 minute class. That is, unless we cut to last weekend - when I had my 15 month old son, Mateo with me. That was more or less a 50 minute session of chasing him around GGET - playing hide and seek and keeping him from breaking everything. Still fun - just a different type of routine. Oh...the birthday balloon? 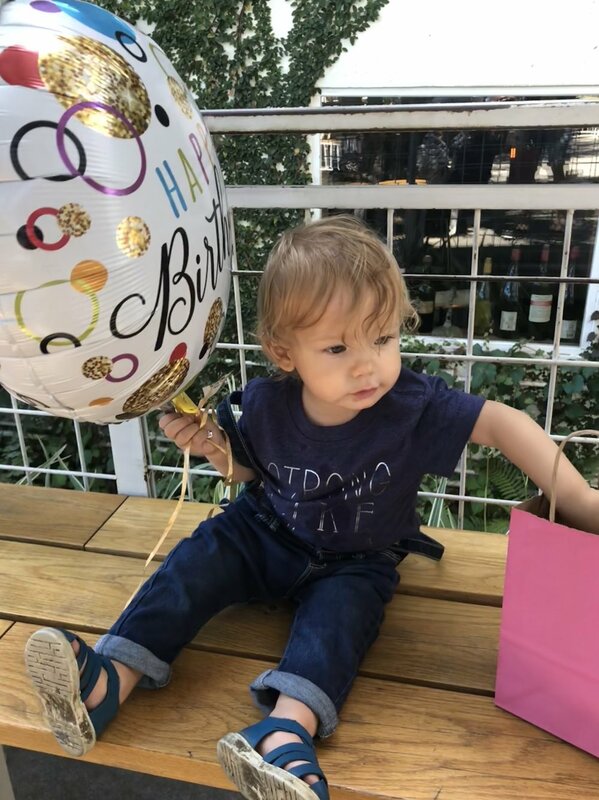 Yeah, that was my wife's but he's obsessed with balloons and refused to let it go for about two days straight.